Special breakout box which enables you to access all pins on a 38 pin Benz diagnostic connector via 4mm female banana sockets. Why Buy breakout box from us? We are factory for this tool. Price is factory price. We do best quality control, we use best quality plastic and chips for it. We stock plenty to avoid any shortage,not like trade companies,take money frist and let clients wait. We can put your logo on it and any other OEM requirments. Since Benz use a lot of different K-lines for it's different systems like engine ECU, ABS, etc. 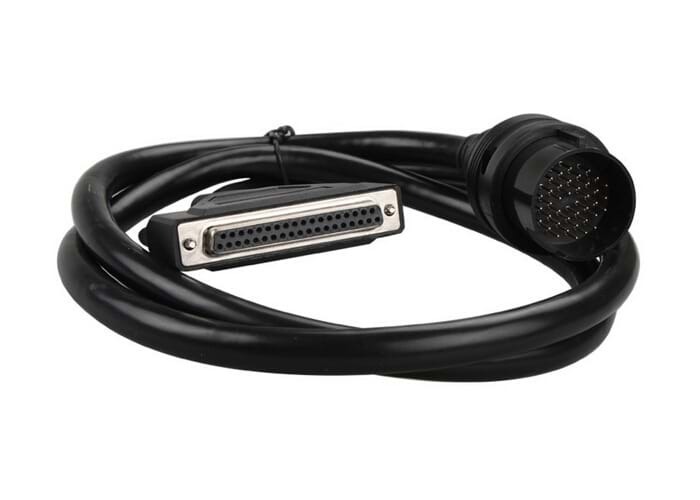 this is needed for most scantools if you want to access all the systems just by pluging the K-line into the right socket of the system Cable length is 1,5 metres and the cable is interchangeable by a DB37 connector from the box.